Cragiehall Village is a concept on the edge of and connected to the City. Estimated capacity of approximately 1200 new homes including support services and facilities and a transport hub. All the planning application documents and correspondence so far can be viewed here. NB: the consultation period for this application has ended. Public exhibitions were held in April at Cragies Farm and Queensferry Parish Church. 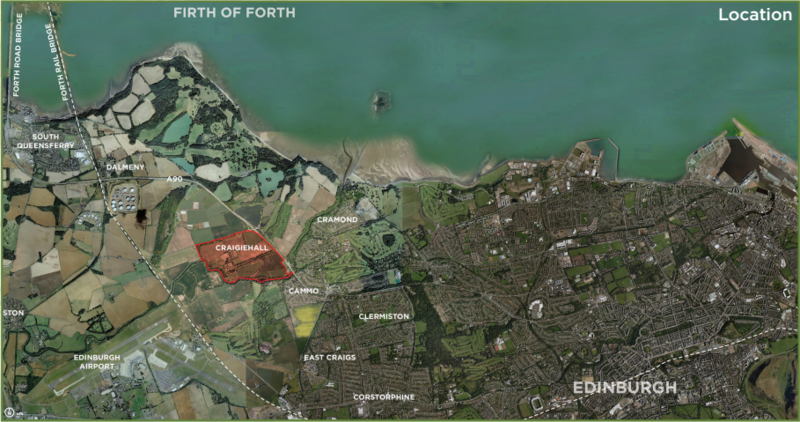 Rick Finc Associates attended the Cramond and Barnton Community Council meeting on the 21st April 2016 where they gave a detailed presentation. After the meeting the C&B Community Council replied giving thanks to Rick Finc Associates for attending and fed back positive comments and concerns. The letter can be downloaded here.